TFT panel edge beveling machine - SHIRAI TECH, LIMITED. This machine is for grinding the edges of assembled and scribed (broken) TFT panels. To shorten processing tact times, a multi-wheel has been designed to grind the glass at high speeds, allowing the machine to grind glass at up to 30m/min., while still controlling the amount of chipping of the glass substrates. 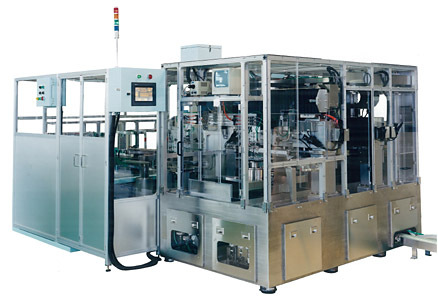 Also, by installing a CCD camera onto the machine, glass alignment and grinding edge length measurement will both be done automatically, and the grinding process will automatically be adjusted based on the inspection data, making the machine easy to operate even for inexperienced personnel. Others: We have built machines for up to 65" glass in the past.